The Law Office of Melvin O. Shaw, P.L.C. is a general practice law firm that handles real estate, wills, guardianships, conservatorships, probate, and business law, contracts, and other areas. The firm serves clients in Coralville, Iowa City, North Liberty, and other cities in Johnson, Linn, Washington and Cedar counties. 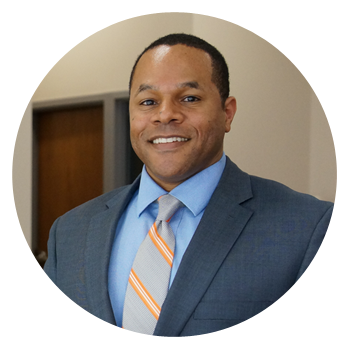 Melvin graduated from the University of Iowa College of Law in 2004 and he earned an M.A. from the University of Iowa in 1997. Melvin earned a bachelor’s degree in political science from the University of Missouri – Columbia. Melvin is a member of the Iowa State Bar Association (Probate, Real Estate, Business Law, and Family Law committees). He is a member of the ISBA Business Law Section Council. Melvin is also President of the Johnson County Bar Association (2017-2018) and served as its Vice President (2016-2017), Treasurer (2015-2014), and Secretary (2013-2104). He serves on the Johnson County Bar Association Title Standards and Continuing Legal Education committees. Melvin has presented for National Business Institute (NBI) on the topics of probate administration and limited liability companies (2014, 2011, 2010, 2009, 2008, 2007, and 2006). Melvin is a Steward, Bethel A.M.E. Church, Iowa City, Iowa, and has held various roles at the church since 2002. He is President, Board of Trustees, The Housing Fellowship (2018-2019), Vice President and Treasurer (2017-2018) and has been a trustee of THF since 2013.